Last week we travelled to one of the most renowned wine regions in Spain, Ribera delDuero, an hour and a half from Madrid. Thank you to the Spanish Association of wine and culinary tourism in Spain with the collaboration of the ” Wine tours of Spain” and different local businessmen. Aranda is the cradle of the Ribera de Duero Wine Route, it has more than 120 wineries that have been part of the active life of its inhabitants for centuries. Its traditional underground cellars, its gastronomy and the particularity of its lands make this enclave a magical place to visit and discover its rich products. Some of its underground cellars date from the XV century, located between 9 and 12 meters deep and with a constant temperature and humidity throughout the year, guarantee a very peculiar maturation of their wines. The intricate tunnels made without electric light impact by their long routes and the enormous vats (old barrels of huge dimensions) that they keep made in a totally handmade way, transport you to the past in an instant. 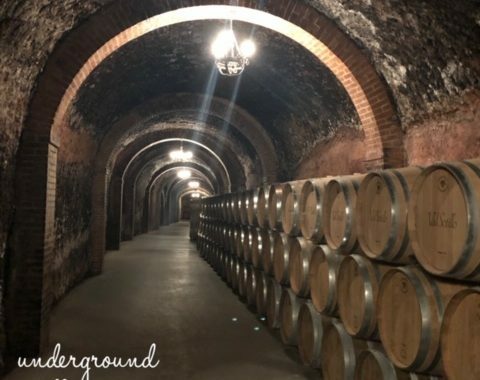 These tunnels were built for generations, with a single access shared by the neighbors and in addition to wineries, they were the refuge of the Arandinos with the arrival of the French around 1808. The maintenance of the wineries after more than 500 years is enviable and nowadays they are used as play spaces that the people of Aranda use for special events. In our visit to the Don Carlos Historical Winery, we made a guided tour of the interior of its facilities and its underground cellar that reached 11 kilometers, we also enjoyed the quality of its wines and its huge warehouse where we can admire its collection of more than 9000 bottles of wine, original and very difficult to find. To completely change the atmosphere in the Bodega Territorio Luthier, they offer us the image of the new generations of local winemakers. Modernity, illusion and care for fresh wines, which make us fly with their aromas. 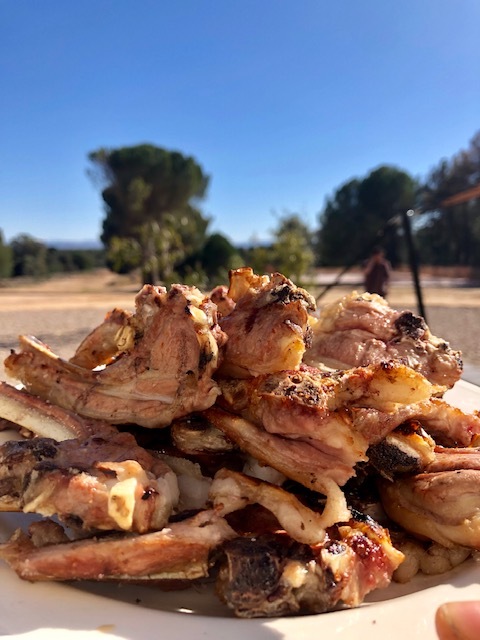 In addition to delight with some of the jewels of local cuisine such as lamb chops roasted in the vine shoot (traditional way of using vine stocks as embers) or the traditional black pudding from Aranda, similar to Burgos but with the particularity of the spices used in its realization. To visit the Bodegas Ismael Arroyo-Valsotillo we move to Sotillo de la Ribera, a small town at almost 900m of altitude. In its cellars in addition to admire its tradition, we can know some of the particularities of its past, have documents of 1670 in which it is credited that this small town harvested 3 million kilos of grapes, a milestone for a town of just 43 square meters . 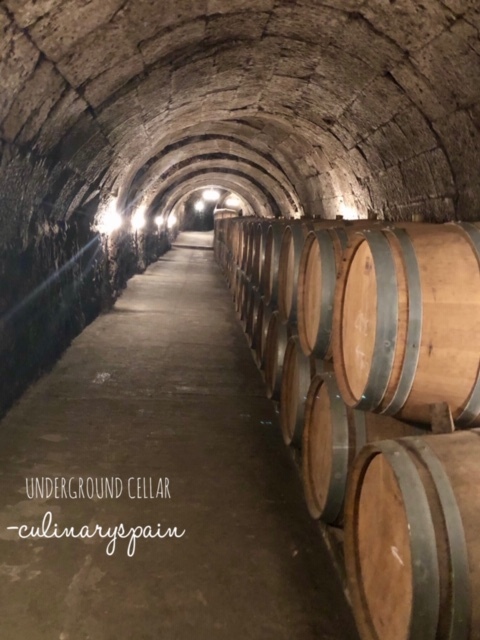 Its underground cellar is 30m deep, dating from the sixteenth century and nowadays they export almost 65% of their production outside Spain, to countries such as Germany or the United States. To end this amazing day the Aitana Restaurant shows us its atmosphere that perfectly blends tradition and avant-garde, moving also to its dishes. You can taste a delicate confit of duck in red fruit sauce or a robust roasted lamb in a wood oven, so characteristic of this land.